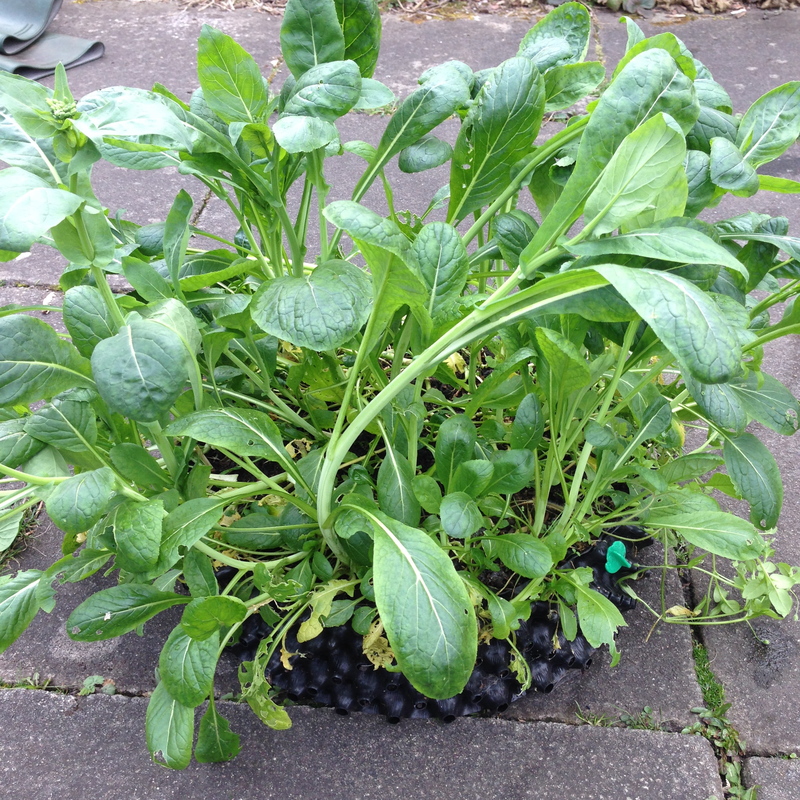 Winter is over at last and the some Air-Pot grown salads started earlier this year are just beginning to yield some welcome fresh greenery, and my jewel like radishes will be ready soon. Oriental greens, such as komatsuna and tatsoi which were sown last Autumn, are useful during this hungry gap while we wait for the summer abundance. As I grow more crops in Air-Pot containers, particularly in the greenhouse, I am realising how useful they are for early and late produce. 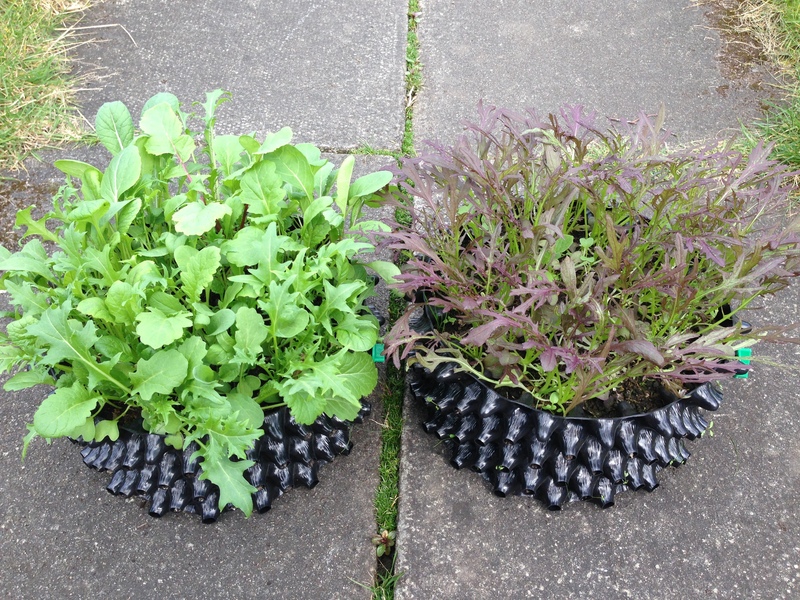 My early salads have been protected from the wild weather, and the quality is superb. 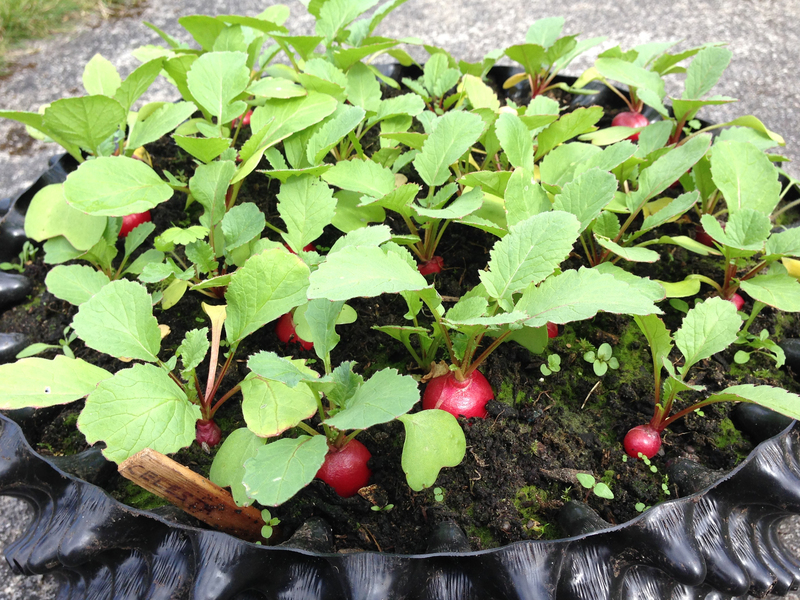 When I grow radishes on the plot something nibbles away at the leaves making them look like shotgun pellets have blasted through them. This could be flea beetle, which attacks brassicas like radish and mustard leaves. Trays of broccoli seedlings also benefit from this protection. 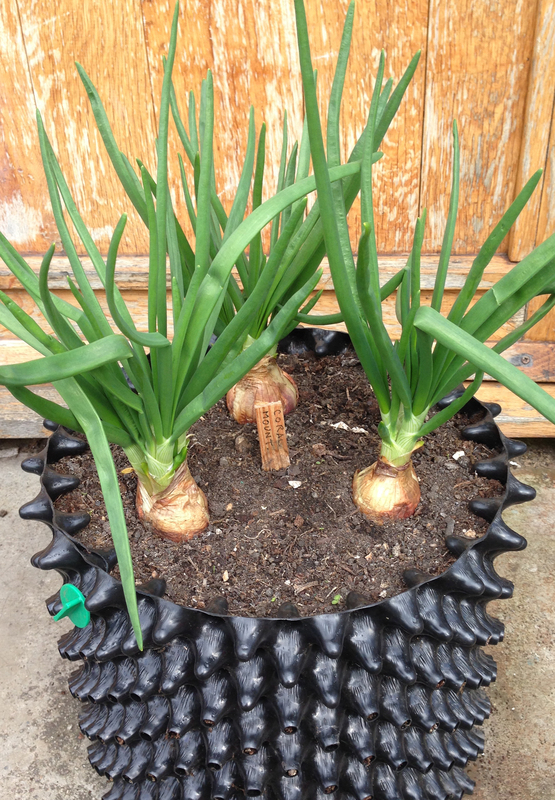 My various rare onions are loving the rich soil and good drainage they get in Air-Pot containers.